Beautiful Fancy Beds for a Fancy Bedroom! My Top Favorite Adult Fancy Beds to Create a Fancy Bedroom! 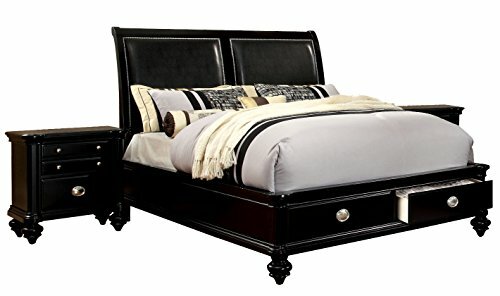 If you know my work, you probably know that my passion in life is to find the most beautiful, cool and unique furniture being sold online and it’s no different when it comes to beds! Today I came across the most stunning fancy beds for adults and I couldn’t resist creating this page! *This is what I’m talking about! Look at this beautiful fancy queen-size panel bed with gorgeous carvings and marble inserts! It looks just like those beds we see in fairy tales! 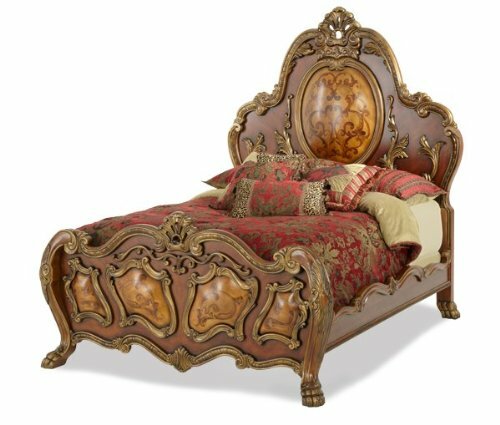 Beautiful Baroque Style Sleigh Bed! 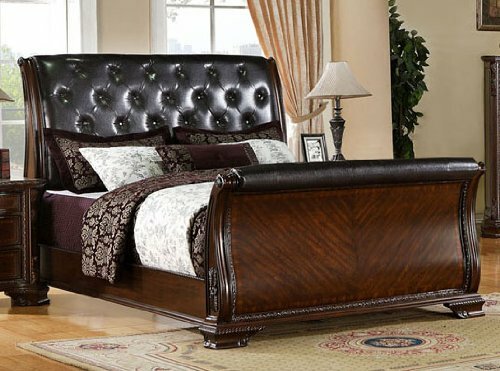 If you are looking for a beautiful, fancy wooden bed for your bedroom, what do you think about this gorgeous Baroque style sleigh bed in this brown cherry finish? Look at the stunning carvings on the headboard and footboard! You can have this bed in a queen or regular king size as well. Stunning Eastern King Tufted Sleigh Bed! 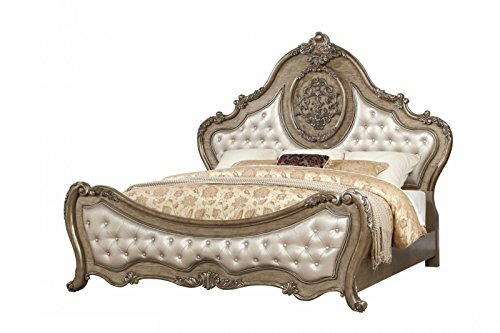 Another stunning and very fancy looking traditional sleigh design king size sturdy wooden bed with a very elegant tufted faux leather headboard. I love the gorgeous two-tone cherry finish as well. This is definitely the kind of bed that will last for many, many years! I gotta say I have a ‘thing’ for these beautiful fancy sleigh beds! They can make any bedroom look very elegant! 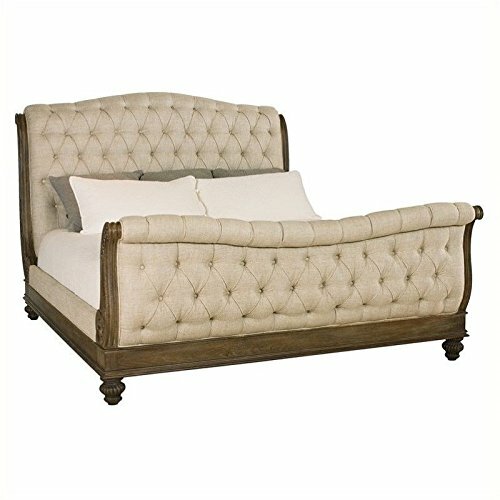 This is a gorgeous tufted upholstery king size sleigh design bed in a beautiful and classy oatmeal color! 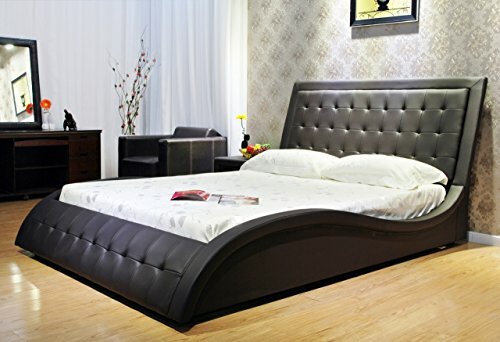 What called my attention to this gorgeous fancy bed right away was the beautiful black finish and the padded headboard! Then I noticed the spacious drawers in the footboard! And finally, I realized that it also comes with the two beautiful matching nightstands! This bed is also very sturdy, made of wood! Beautiful and Fashionable Cream Color Fancy Bed! If you are looking for a gorgeous, fashion, impressive looking fancy bed with beautiful fabric covered boards and rails, look no further! The best news of all is that it is not that expensive! 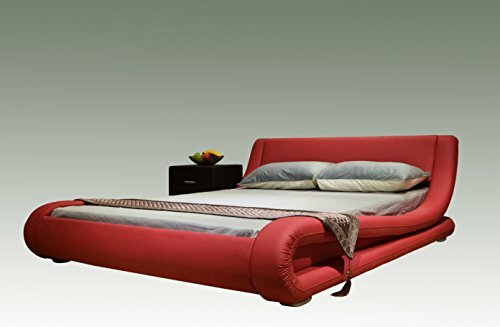 How cool and fancy is this bright red upholstered queen size bed? Look how it pops out! It is also very stylish. My Favorite Fancy Beds for Sale! 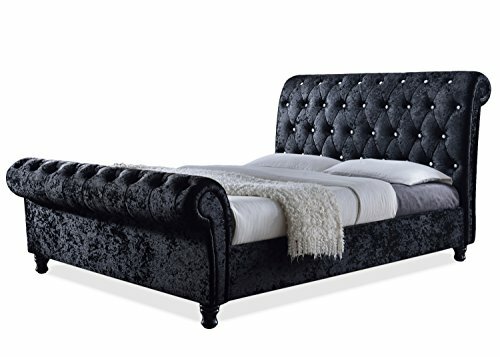 Another favorite of mine is this huge tufted upholstered stunning platform sleigh bed in a beautiful black color! I am truly speechless now! I guess it’s never too late to become a princess in life now, is it?? 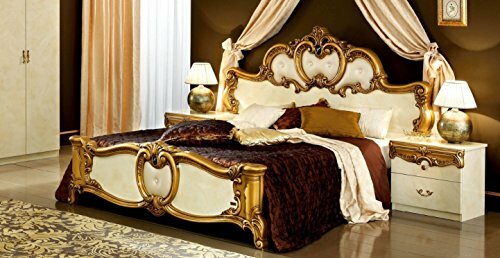 I really found a luxurious Victorian Baroque-style queen size bed in a beautiful gold finish! How’s that for a fancy bed?? And last, but not least, another favorite of mine is this stunning ‘wave-shaped‘ platform bed for sale! It is not only beautiful and fancy looking, but also very stylish and very comfortable! It’s also available in brown or white! The price is not that bad either! If you are into modern furniture, go for it! *I hope you enjoyed my selections of fancy beds! 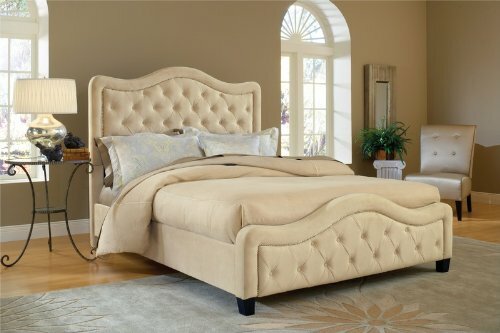 (I couldn’t resist showing you this stunning tufted king bed! I have more dreamy bed ideas for you to see! Very Fancy King Size Canopy Beds! The Most Stylish Modern Beds Ever!